It takes a child to raise a country. 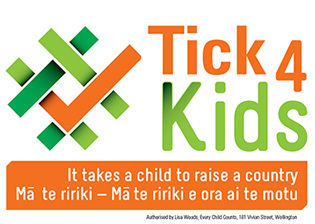 Tick for Kids is a movement designed to engage politicians and the public in discussion about what needs to be done to improve life for children in New Zealand. Original generation time 1.1253 seconds. Cache Loaded in: 0.0091 seconds.